By signing up with Let’s Go, you agree to let us use your information provided herein for the purpose of arranging, conducting and promoting our bike routes. 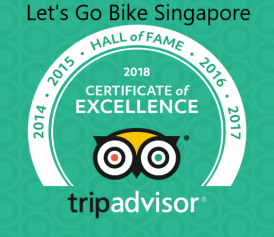 We may also use your information (including photos) on our website and affiliate sites (including but not limited to) Let’s Go Facebook and Tripadvisor pages. We find that your actions on our websites violate our terms and conditions of use or any of our usage guidelines for specific products and services.